I was walking with a noted mycologist in late October when we found this unusual fungus. He declared it was a Boletopsis and I concured. 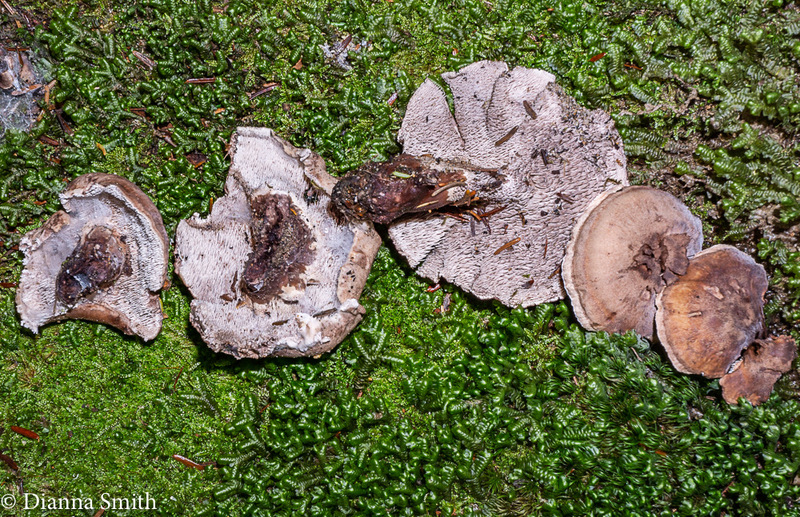 However, unlike Boletopsis species, this fruiting body has spines. This is a species of Bankera. There are a relatively few species in our part of the world and it is difficult to find detailed descriptions of them. This one in any case was growing in a mixed deciduous and conifer forest with lots of pine. 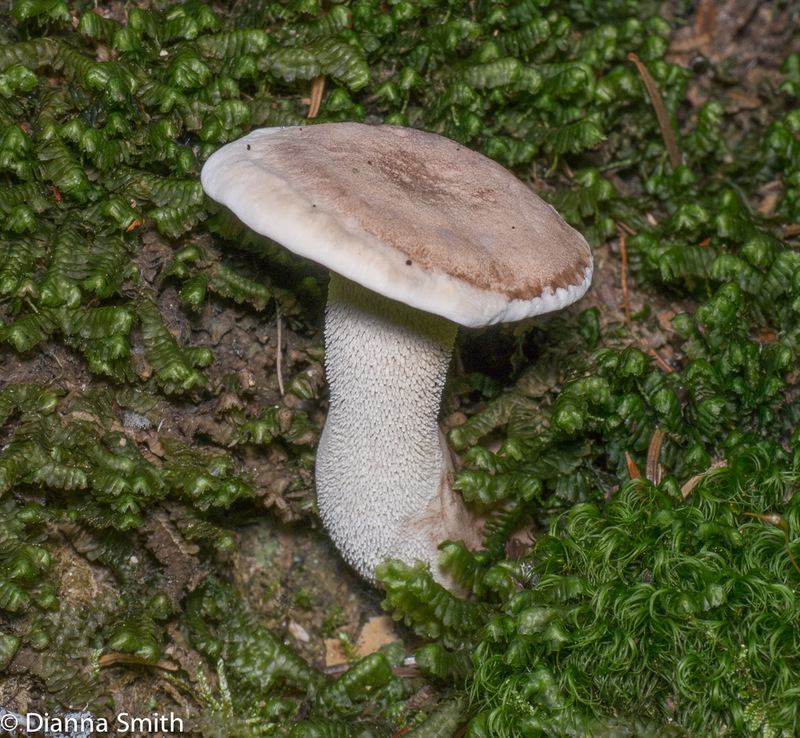 It has a pale tannish cap and a central stem. 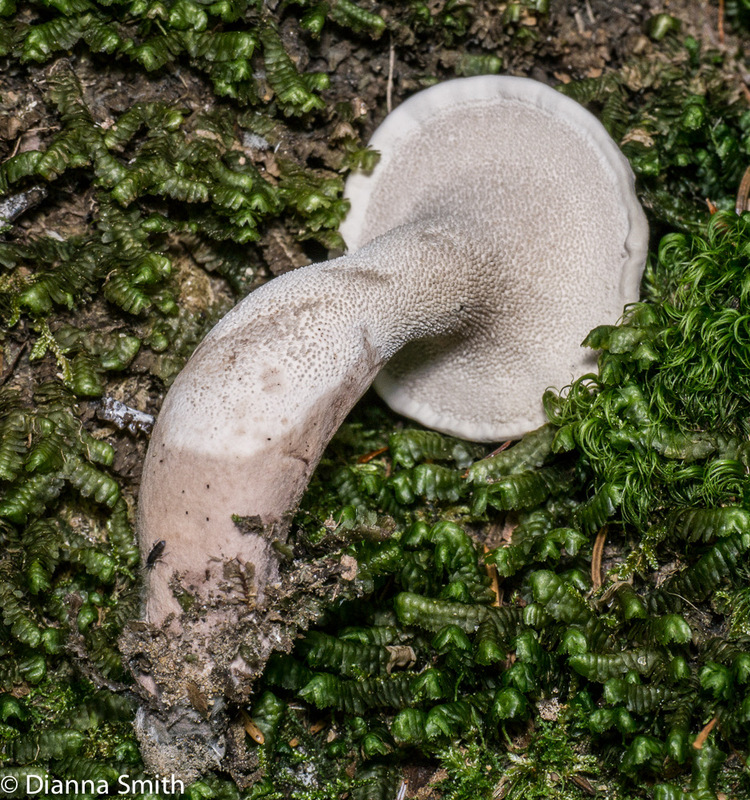 Its fertile surface is covered in whitish spines that rung down the stipe and appear to turn grayish. This specimen appears to be a young representative of the genus.